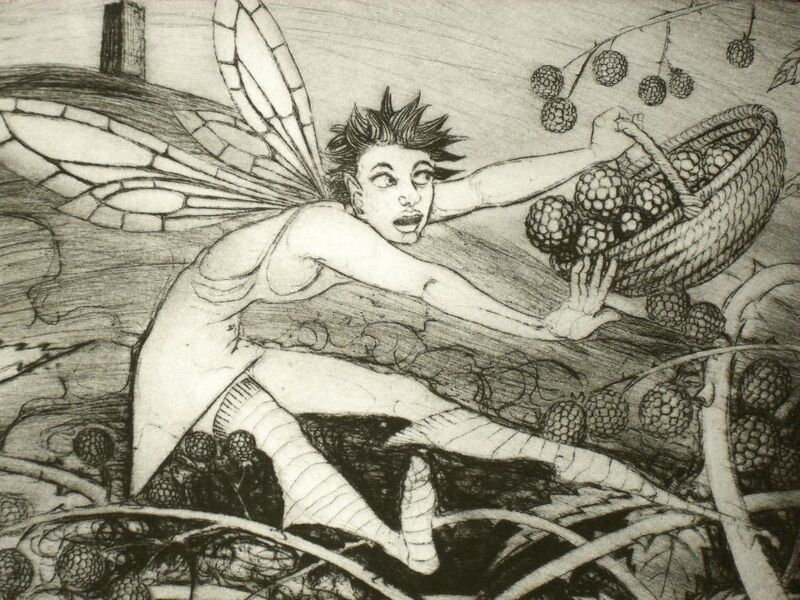 Nancy Farmer, a self-employed artist in Somerset, UK is my favorite artist when it comes to drawing fairies with various themes. To see her work in progress is a gift to anyone taking note. With her permission, I’m reblogging this one of “The Blackberry Harvest”. Don’t forget to look back on her work in my blog post about the castor bean plant too! 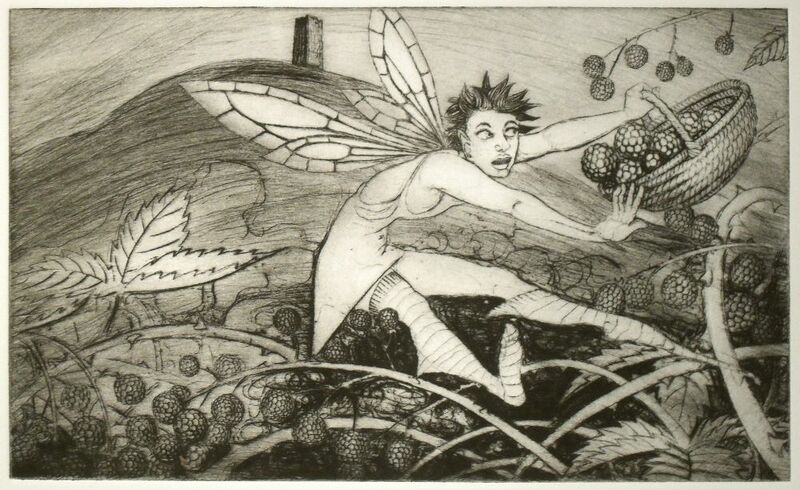 Another print for the 2015 calendar is done – this one was printed from the plate I featured in my post on ‘imaginary drawing’: http://nancyfarmer.wordpress.com/2014/02/07/drypoint-and-imaginary-drawing-more-views-of-the-tor/. That post shows me in the middle of creating the image on the aluminium plate, with sandpaper, burnisher and pointy tool. All that guesswork… but I am quite pleased with how this one came out now. Sandpaper is my new favourite thing, which is odd because having been a jeweller I used it for days on end and never discovered a liking for it before!